Online Video Production in Cincinnati, Louisville, Lexington, Dayton, Indianapolis, and Nationwide. Online video production is taking over the web. How many times over the past few months have you heard about the incredible growth of online video? Well, despite all the hype… the growth is quite real. In fact, eighty-five percent of U.S. Internet users are now viewing online video, and by 2014 online video is expected to account for over 50 percent of all Internet traffic, according to Cisco. 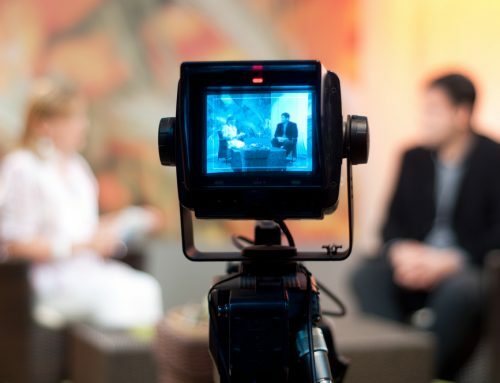 Online video gives you the opportunity to connect with your audience any time of the day. And, with the influx of portable Internet devices, capable of streaming online content, viewers are able to access video from nearly every corner of the world. Second… video is a powerful sales tool. Video provides higher retention of content and generates more interest among prospects and customers. Businesses that incorporate video marketing into their overall marketing strategy see higher click-through rates and conversions. In fact, according to a recent study by Forrester Research, adding video to your website makes your site six times more likely to convert a “visitor” into a paying customer! Third, online video is measurable. We now have the ability to see powerful video analytics. In addition to rich audience demographics, we can see which part of the video the viewer watched, skipped, and watched again, and most importantly which points of the video led the audience to engage. And engaging your audience is the secret to keeping your brand top of mind. Are you looking for a video production company in Cincinnati, Louisville, Lexington, Dayton, or Indianapolis area to help you with your television commercial or video marketing efforts? To learn more about our video production services click here. To speak with someone about your project, or to request pricing, please click here.